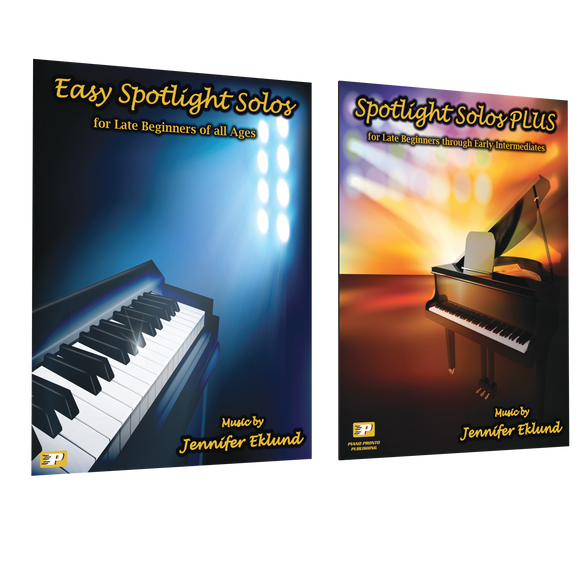 Have students who want to play pop music and you don’t know where to start? These pieces are chock-full of pop-style elements with tons of pedagogical meat. 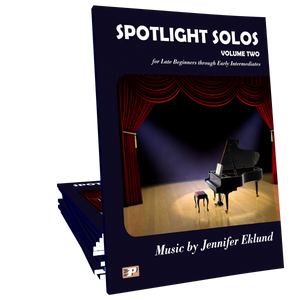 Spotlight Solos Starter Pack includes the two newest Spotlight Solos songbooks with music composed by Jennifer Eklund. 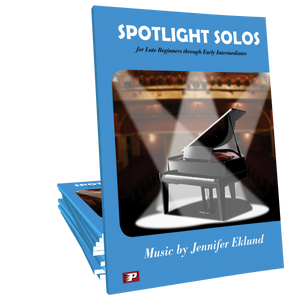 These supplementary pieces span beginning through early intermediate levels and will delight students of all ages!